You can try on all of my hats!! Wow! i've never made a game before, but i was really inspired by all the people on this website who make short little games all the time, and i was like, wow, i could totally do that too. i hope its ok for me to just post this here. also, i don't know if this will work for you. it works for me in chrome. 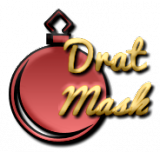 This is dratmask, the plot is ... spoiler, it's a vn. Uhh, it's sort of like 2nd place as it's the sequel, and the song that gets played after 2nd place, so it's naturally a longer song so the game is longer. A lot more work went into this one. Also if the game crashes after the second song is done playing, that's normal. That's the end of the game. I don't know how to make that not normal, but this is okay. I may make some noise on the forums and ask real nicely and provide them with the sauce and whatnot. Mikan of http://skimlines.com for supplying "Wendy" and in the first vn "Peter"
disclaimer: opening the sauce 7z file is spoiler and was meant to do after the game, but i might have been to vague on hinting the password, so yeah, change order there at your own discretion. TTTPPP, Madtom, Scribbit, Goldenhog, Newt, and Bagofmagicfood. 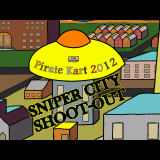 The City is filled with snipers! Only YOU have the skillz to hunt them down. Use Mouse to aim, LMB or SPACE to shoot and Mouse Wheel or Z/X to ZOOM. 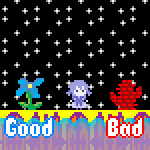 Update: Fixed some graphics problems, inproved the controls, added difficulty and pause. Generally much more playable. Also, entirely true fact, I've been kidnapped and replaced by bees. Not sure what's with that. Update: Did a deal with the bees, 400 hundred weight of chutney and they let me go. Luckily I have some earwig friends who could get me it cheap. This isn't for any event (except in the past). I was browsing around and remembered that I made 2 games here before the site got the actual game submitting form and game lists. Might as well add them now. the thing is, you have to be wearing a fancy hat to get in! you have to go just through those ways to get there! whack those pesky hat robbers into oblivion and go eat your hat food! !